This site has been long protected as a Taoist mountain and hence some of the forest is well-preserved here, if you can find a quiet area. 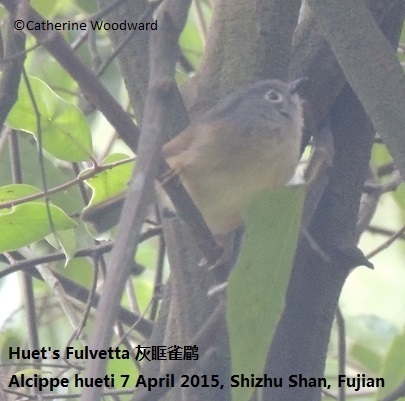 Silver Pheasant, Bonnelli's Eagle, Barred Cuckoo Dove, Mugimaki Flycatcher (on migration). 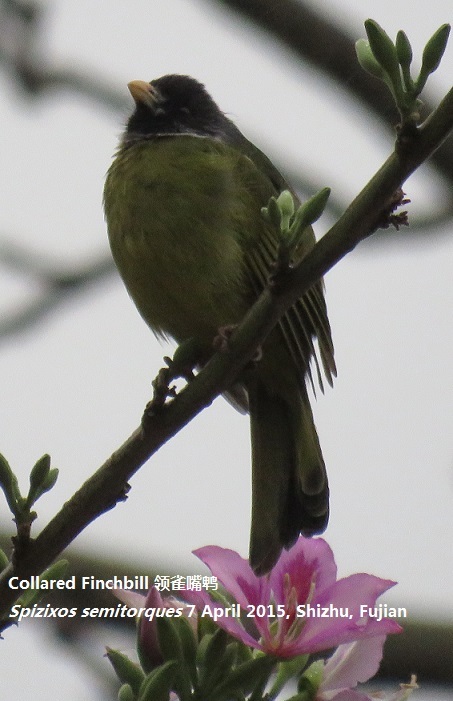 Common Pheasant, Large Hawk Cuckoo, Grey-chinned Minivet, Hwamei, Grey-cheeked Fulvetta, Rufous-capped Babbler. From the top there are some trails and paths that are behind the main tourist area. These can be quiet and good for birding. Secondary forest, overlooking a reservoir. From Fuqing there are plenty of local buses going to the foot of the mountain from where you can take a cablecar to the top. Disturbance: tourist presence is quite heavy, especially at weekends and public holidays.